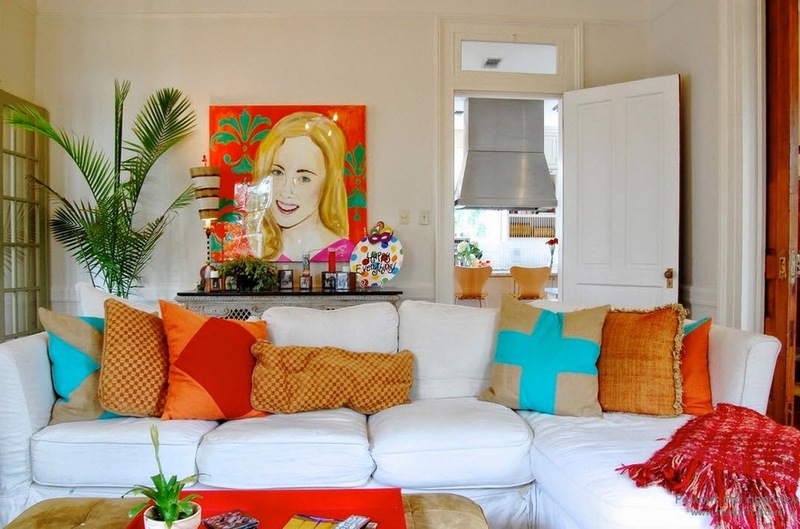 Additional bright color in white living room design adds savory notes, will bring richness and diversity. 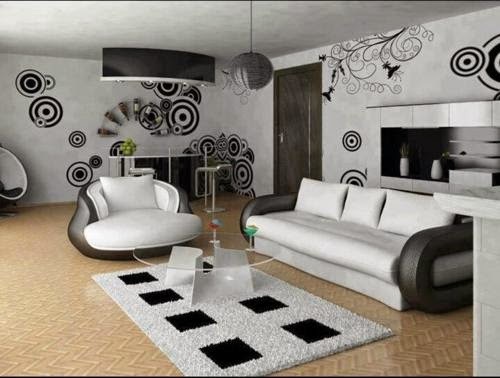 Colored elements should not be much, it is enough colored pillows or colorful books on the shelves, colorful dishes. 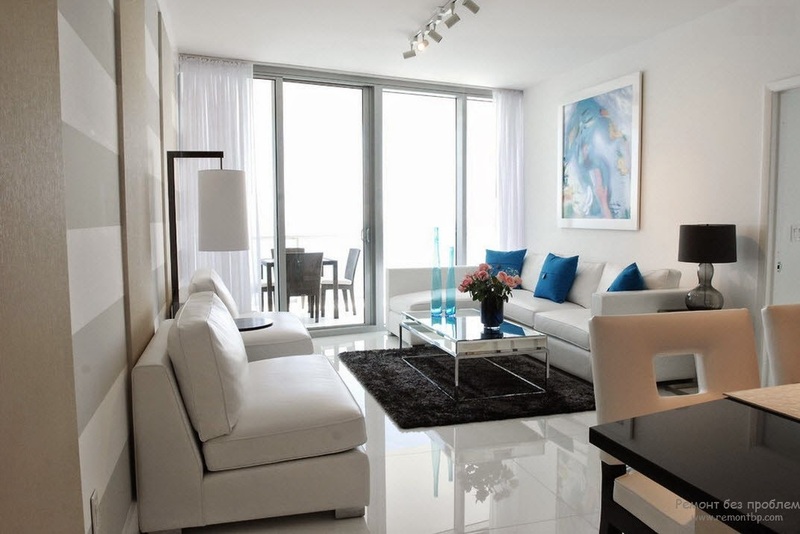 With color, you can select areas in the white room d, to create accents and dynamism in the interior. 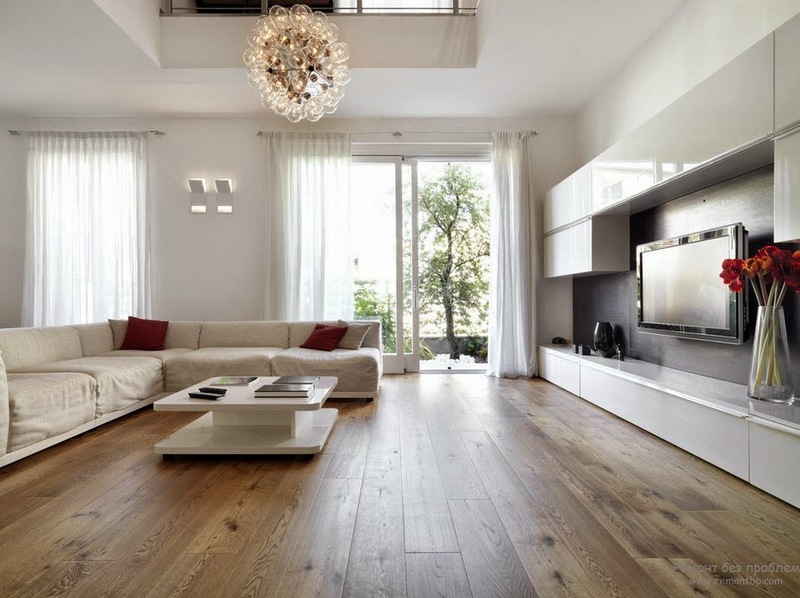 What colors are best used in a white living room designs? Red and Gray added a noble touch. 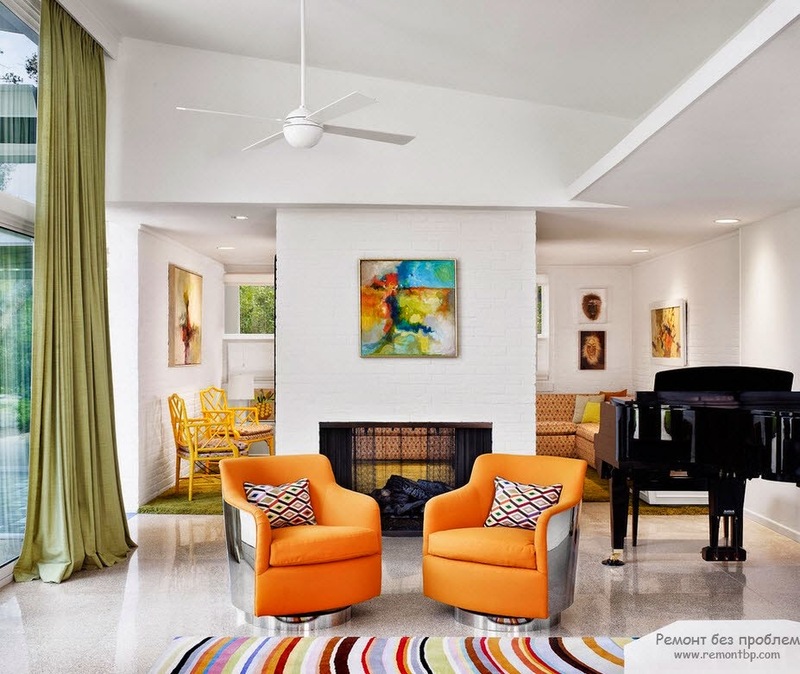 Orange and yellow will give a bright mood, shades of green will look great in a white living room design. We must remember that the most important thing is the forms, so the colors must be chosen carefully, without weighing the interior. One of the best options is a combination of several shapes and textures - such as curtains , sofa and a few decorative elements in one color. 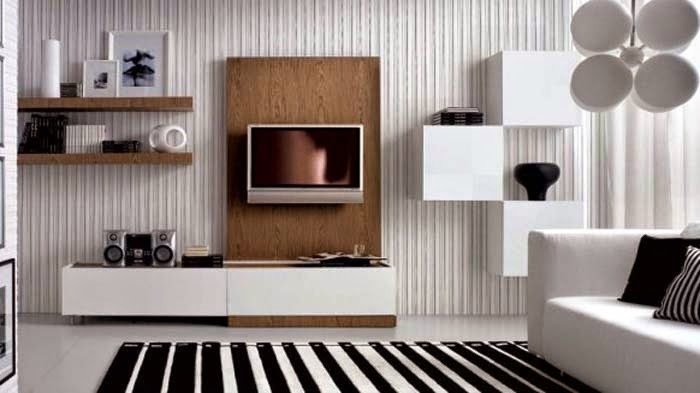 This will help to create an elegant and stylish interior, which accentuate the taste and preferences of the owner. 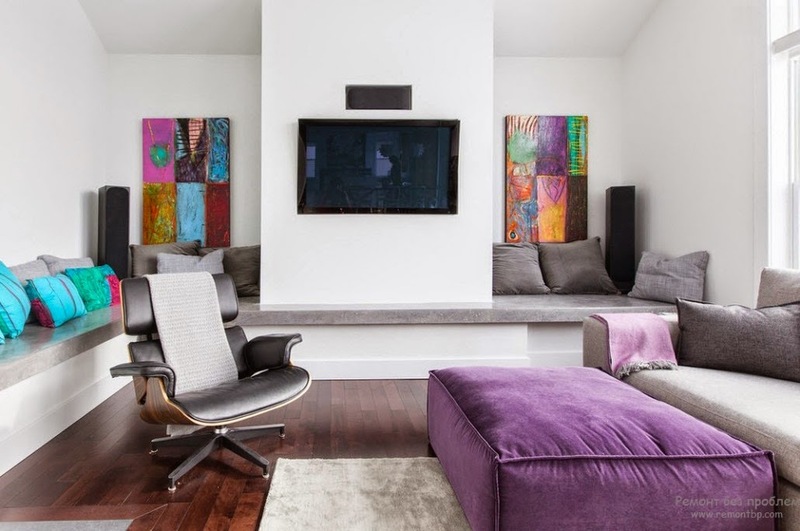 Violet and blue shades look good in a combination of different textures on glossy elements that reflect light. 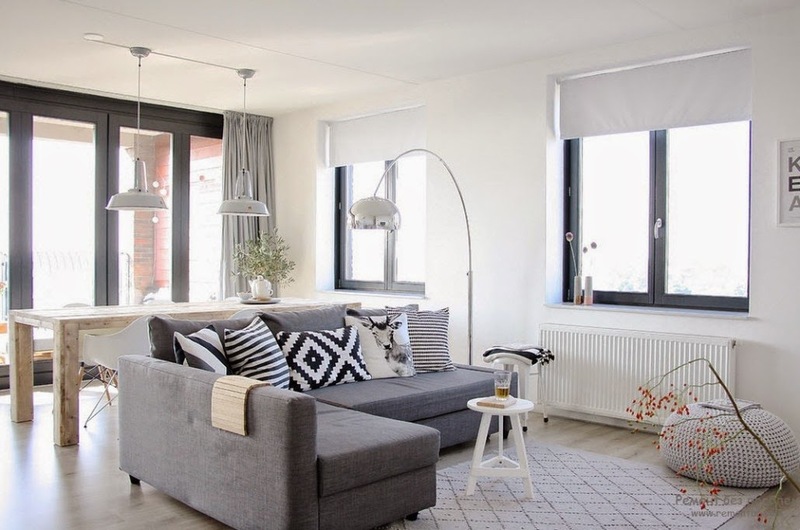 You can also choose the wallpaper of these shades, slightly smoky - this will mute the brightness of the colors and bring tenderness in the white living room designs. 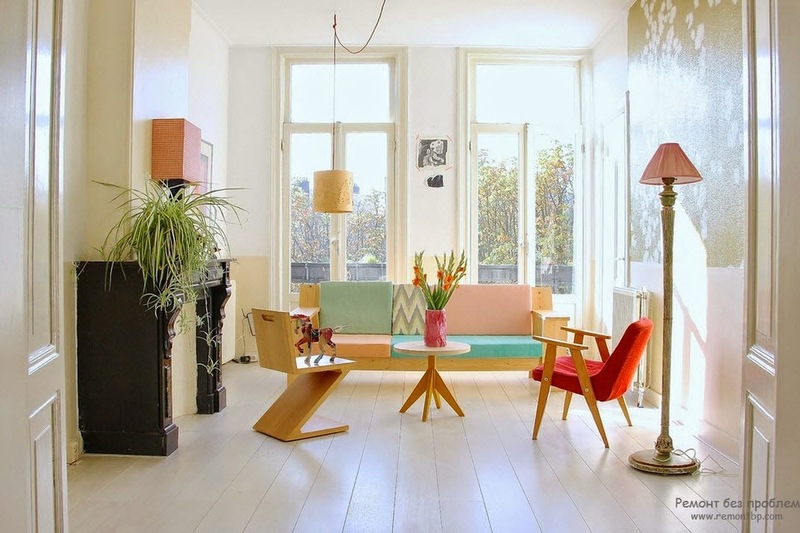 Pastel colors create a feeling of luxury, relaxation, elegance in the room.